In a bright white building, opposite a formerly grand house that has now fallen deep into decay, in front of which a group of comfortably relaxed men in army fatigues keep track of the neighbourhood corner – this is Beirut, after all, and we’re not far from the residency of a big-shot Lebanese politician – is Dar El-Nimer, a space dedicated to “re-envisioning regional history through the arts”. That is no small endeavour, and a much exciting one as well, with endless possibilities. Dar El-Nimer is certainly making the best out of it, having hosted, only in the past couple of weeks, a calligraphy workshop with Iranian master calligrapher and graphic designer Reza Abedini, a storytelling night where memories of pre-war Syria were shared by actors on stage, a kids’ workshop exploring unexpected ways to use the Arabic script, and several musical events. It tells the story of calligraphy, tracing the scripted art form to its roots in historical Jordan, where the ancient Nabateans wrote using a script that later developed into today’s Arabic, before traveling through the centuries and geographical corners of the world where the Arabic and/or Islamic civilisations have reached. Almost each piece in the collection is a truly fantastic object, but some more fascinating than the others. The Umayyad copper coins from the mid-1500s; the first money to have Arabic script instead of portraits, contributing thereby to the geographical spread and political power of Arabic as a language. The 17th century book with Christian sermons, where 17th kids had scribbled animals and unintelligible nonsense words inside. 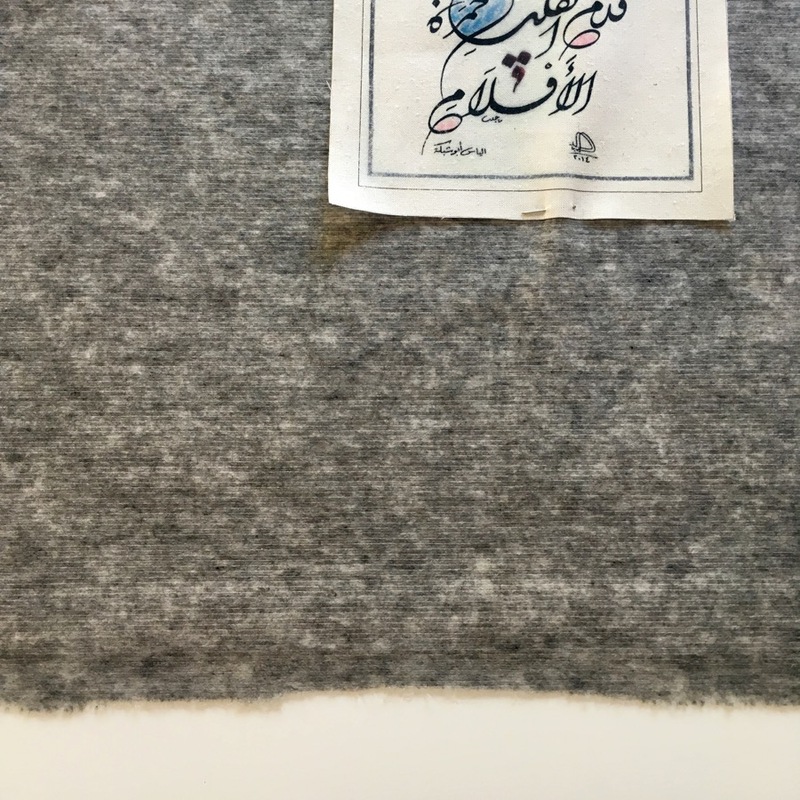 The four metres long cloth from Iran, with the entire Quran written on it. The felted Sufi hat (and the painted Sufi hat and the wooden replica of a Sufi hat). 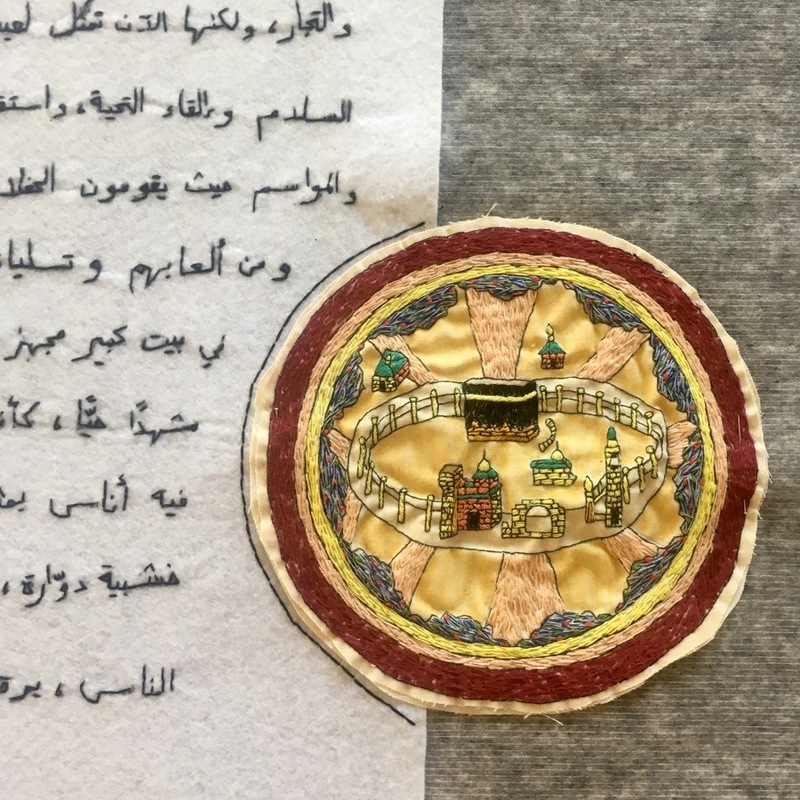 The folding talisman object, made up from numerous delicately decorated sheets of paper, all attached on different sides making it possible to unfold it in numerous ways and directions. The late 18th century mass produced (already then!) Chinese “magic bowl”, with incorrect Arabic words written as decoration. 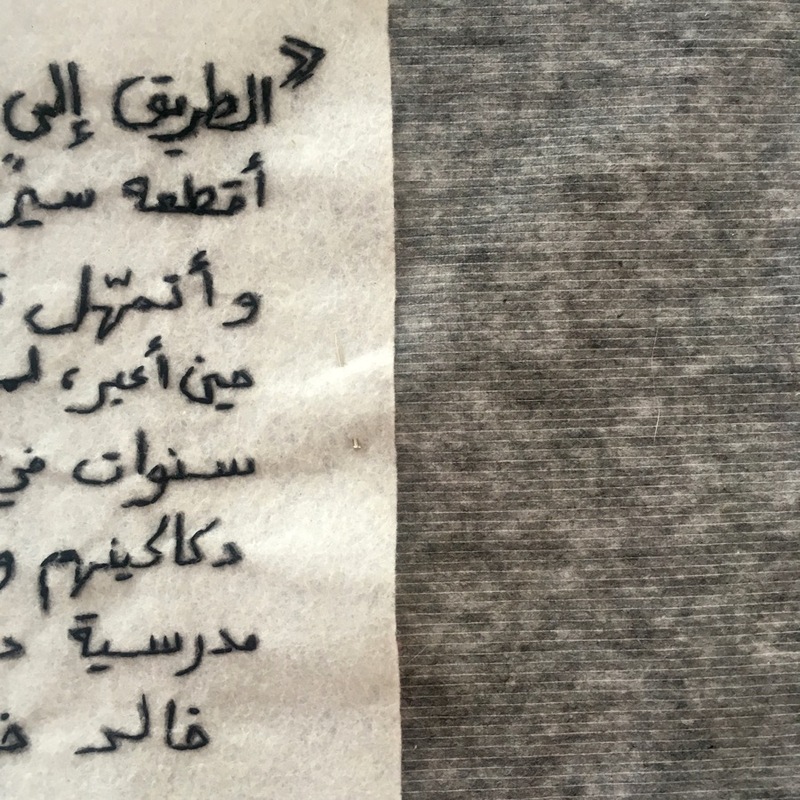 The talismanic text written on a snake skin (because finding a snake skin meant good fortune). 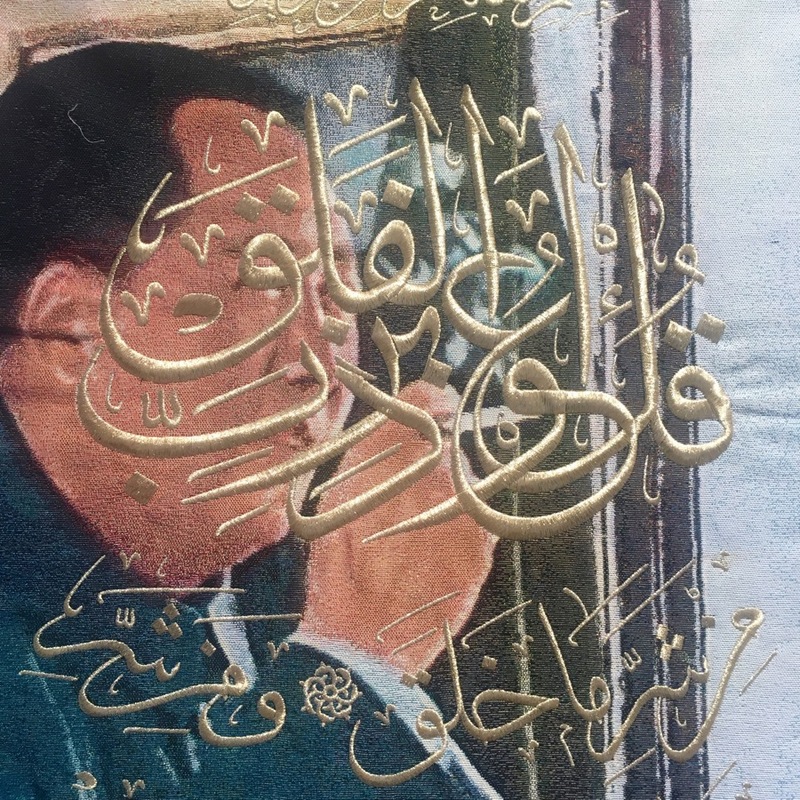 The golden prayer book, made in today’s Iran, with the 99 names of God inside, saying that “Whoever looks at these names of God …after five times, God most high will shield his body from the Fire”. The wall panel decorated with the slippers of the Prophet, characteristically painted with pointed toes, to give protective powers to the house where it would hang. 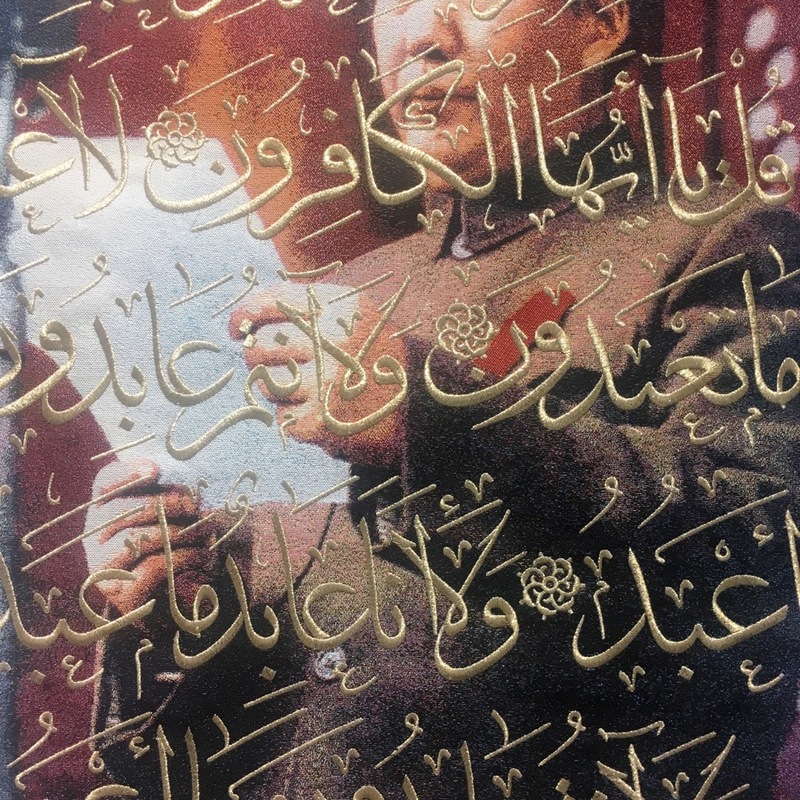 The gold calligraphy written on a dry leaf. The small wooden “qibla pointer”, identifying the direction of Mecca from a number of different (and calligraphed) cities. The Surat al-Fil, the Elephant’s Sura, drawing with calligraphy in India, in the form of an elephant. The Christian devotional book called “Meditations on the Dreadfulness of Hell and the Foolishness of Hideous Sinners”, captured by a barefoot monk in Aleppo in 1721. The fascinating, fascinating hand-copied Quran written by the freed slave Ayuba Suleiman Diallo, from today’s Senegal, who wrote it entirely out of memory (his accuracy amazing, his knowledge of Arabic spelling less so) in London in 1733, after having been released from slavery in the United States, where he ended up as a failed result of his own attempt to sell other people to slave traders on the coast in Africa which ended in his own capture instead. 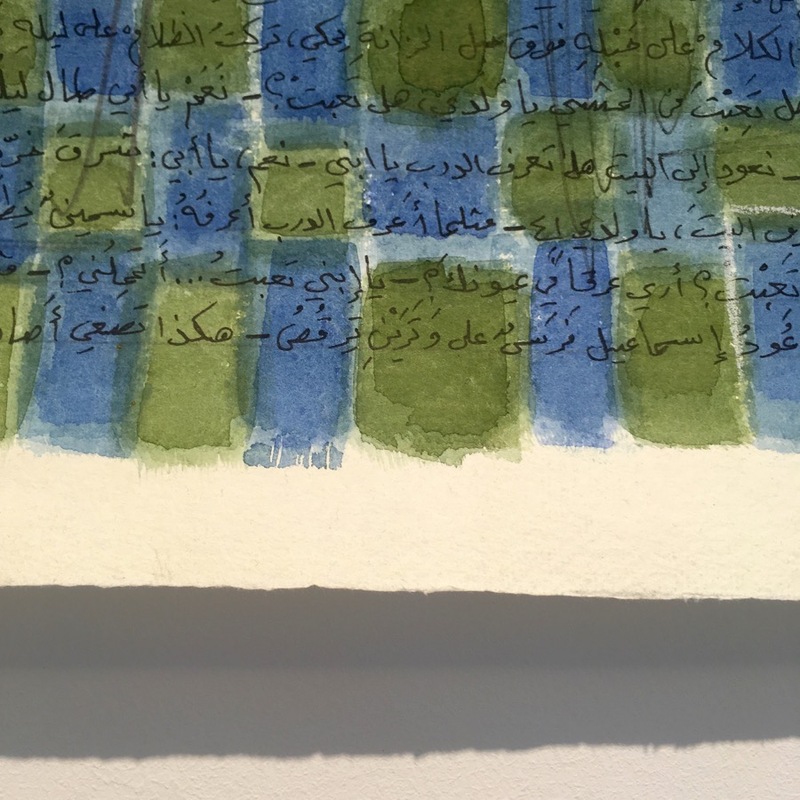 On the first floor at the moment, a flight of stairs up from the entrance floor main exhibit, is an open space where five contemporary Lebanese artists show their interpretations of how public and private can be described and portrayed through Arabic calligraphy. 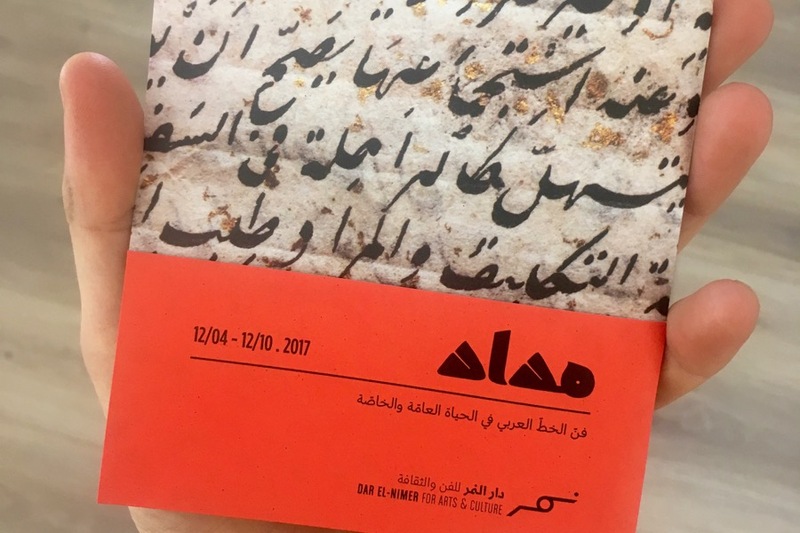 It is part of the larger exhibit of Arabic script showing at Dar El-Nimer until 12 October, and works as very fine and playful reminder of written messages continue to have a powerful significance. 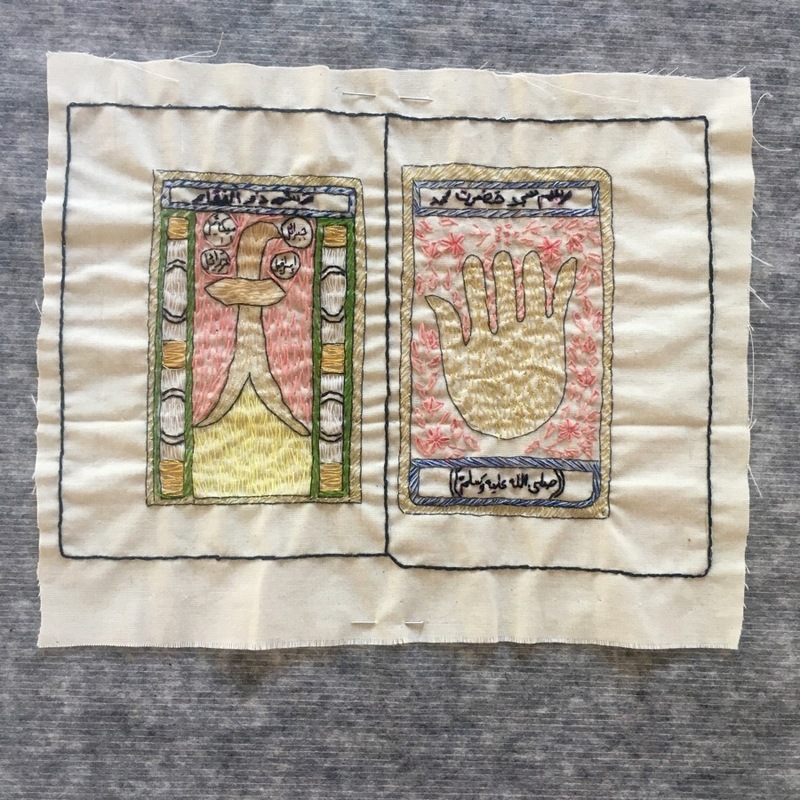 Monira Al-Solh‘s work, called No needles in these boxes, shows a number of collected pieces, rendered in tiny embroidery, displayed on soft wool in an open glass box. 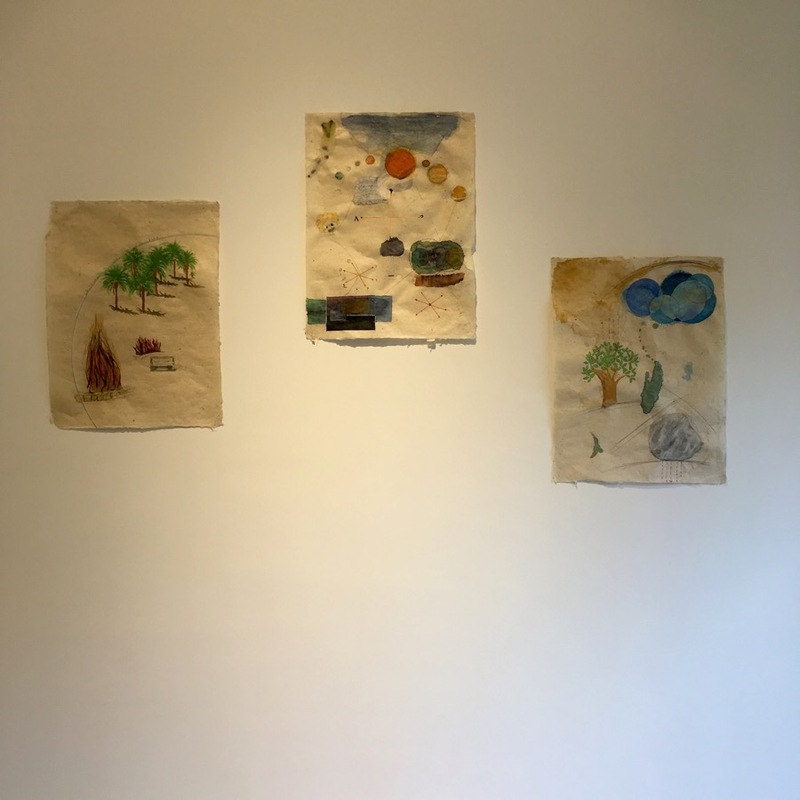 Through letting them take this form, Monira’s work “aspires to ask large questions in small places, operating according to Ginzburg’s notion of microhistory”. There is something that fascinates us with small things, with tiny copies of things from real life – artists making “the tiniest Bible in the world” or “the smallest copy of Mona Lisa”, photographers taking pictures of miniature people in frighteningly large surroundings, or street art interventions creating small-scale worlds in our cities. 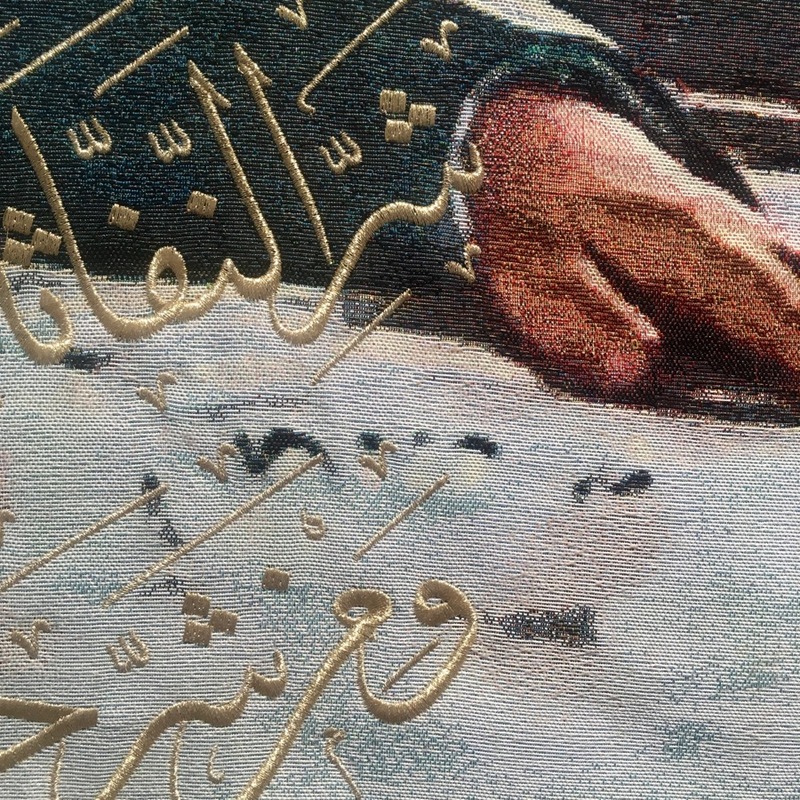 Marwan Rechmaoui‘s paintings looks at our coexistence with djinns and spirits, and how they manifest themselves through the language and words we use. 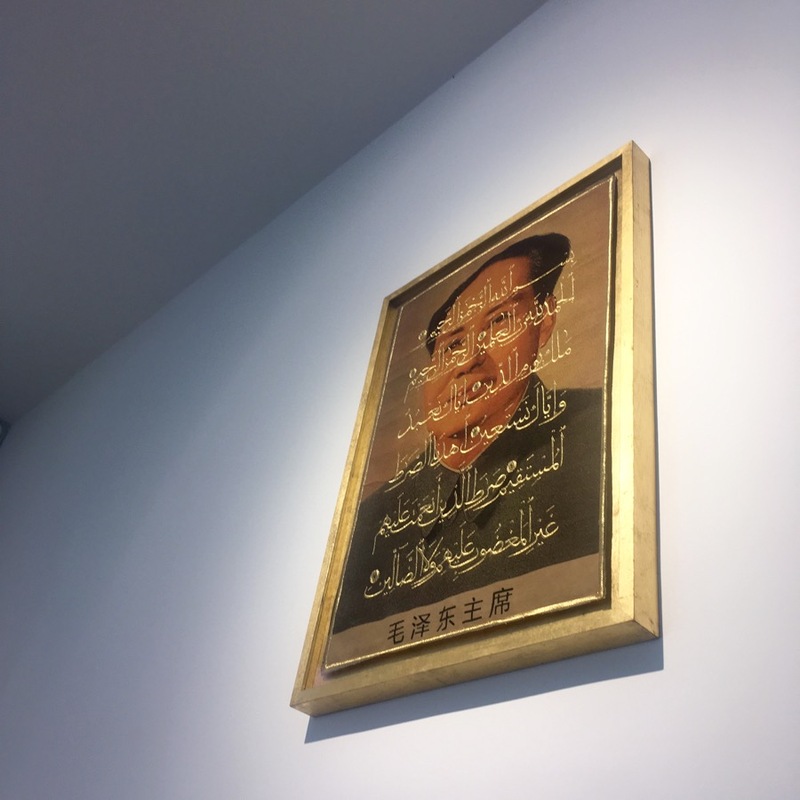 Raed Yassin exhibits textile paintings, where suras from the Quran are embroideried, with golden thread, on portraits of Mao – a comment on the continuing persecution of China’s Muslim communities, as a practice embraced by the official communist state. Also part of the exhibition, but yet to be caught on camera, are works of Jana Traboulsi and Roy Samaha, both interesting Lebanese artists. Jana’s is a series of finely printed books, looking at the practice of producing manuscripts, and how items and ideas have been codified in this way throughout history; Roy’s is a video installation of mystical and talismanic book, in which has been inscribed a variety of spiritual and supernatural content. 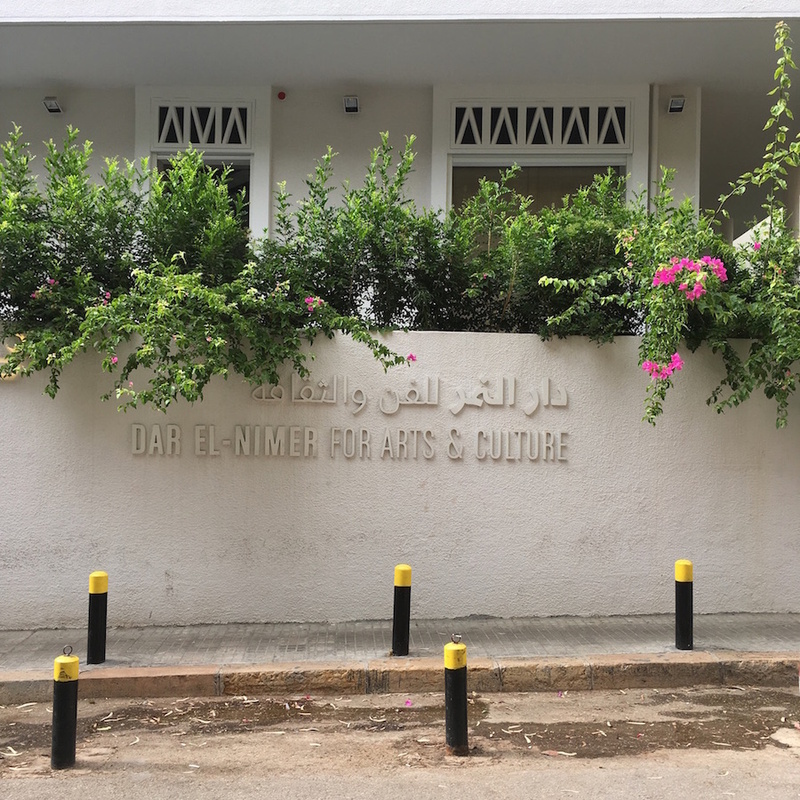 Dar El-Nimer is open daily except Sundays, from 11 AM. It is located in a great part of Ras Beirut, the Jumblat and Kantari neighbourhoods, where streets are quiet (again, that politician’s house and the habit of closing off entire areas around the residencies of big men) and many old buildings still remain, among them some favourites ones in the city. And the bookshop and garden café Dar, also in a heritage building and with a photography collective on the top floor, is just five minutes away for that tea/coffee, post or pre exhibition.